Here is Hobbycraft's 1/48 scale Messerschmitt Bf 109E-3 kit, finished in an experimental scheme used by JG 53 during the Phoney War period. 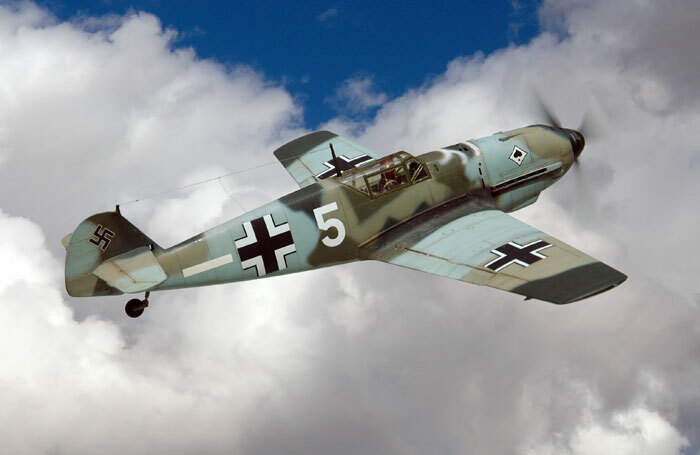 Construction, correction and painting of this kit will be described in the forthcoming book, Modelling the Messerschmitt Bf 109 Part 1, due for publication in April, 2006. More details of this book will follow in the coming months.